How Does One Control Bleeding by Managing The Pressure Points? In life, it is inevitable that we have to shed blood at some point. As we are mostly aware, bleeding occurs either through the veins, the arteries or the capillaries. And regardless how severe, all bleeding can be controlled. If left unattended, bleeding might lead to shock or even death. Usually, most bleeding can be stopped before the medical help arrives at the scene. There are several actions to take in controlling a bleeding. One of, if not, the most important step is to stem the flow of bleeding so that there isn’t too much of blood loss. An excessive amount of fluid loss may lead to death. There’s a way to hold back the flow of blood by applying direct pressure on the wound itself. For the most part, the circulation will subside after a while and the open wound will clot over. Even so, in certain cases, the run of blood in a bleeding wound cannot be restrained through direct pressure only and it’s time that you should be concerned. In case severe bleeding does not stop with direct pressure and elevation, apply direct pressure to pressure point instead. But how does one control bleeding by managing the pressure points on their own? One has to still use pressure to contain the bleeding, but the point at which the pressure is applied will change. There are specific pressure points in the human body that can be called upon to prevent the artery from feeding blood to the exposed wound. Pressure points can be positioned and indeed are performed at a place where a pulse can be found rather easily. This also means that the artery at these points run closer to the skin and for that reason can be used to control bleeding to the area beyond this point. However, the bleeding will only stop if the pressure point is between the heart and the wound itself. Identify the point of bleeding and find out the corresponding pressure point accordingly. Do keep in mind that the area that is bleeding should be above the level of the heart as well. Using pressure points to control excessive fluid loss should be a last resort scenario when there is threatening worry of death due to heavy bleeding. Still in circumstances when you are called on to save someone’s life, it is a good-to-know measure that might come in handy. 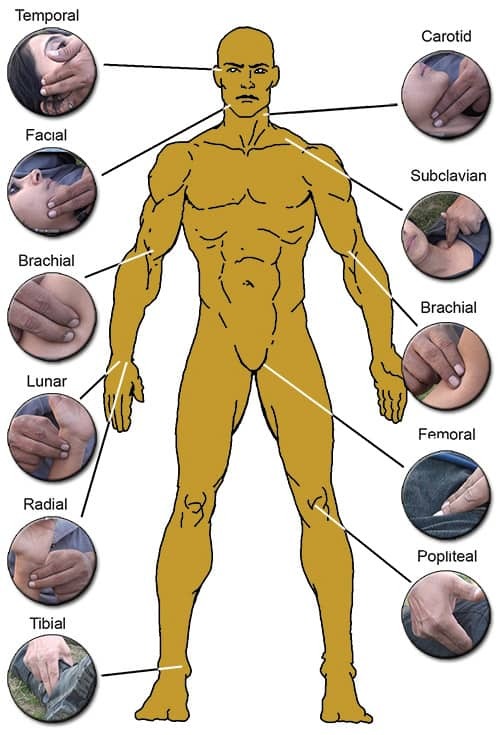 Pressure points can be used in an emergency situation to control the blood-feeding to certain areas in the body. By minimizing bleeding, you can help a patient to survive through the wait for professional medical care, as well as save a victim from going into shock. After an awful accident, there might be internal bleeding, which cannot be stopped just by direct pressure alone. If the person is vomiting blood, has bruises or other signs of possible bone damage or is bleeding from the genitalia, do not attempt to interfere. If the person seems to be having a cold, moist skin or struggling to breathe evenly, it could become a grave situation. Seek immediate urgent medical assistance. Or else, you can begin by helping the person to lie down or sit down in a stable position. If possible, elevate the injured limb or head above the heart, to lower blood circulation to the wound. Then try to locate a pulsing sensation at the appropriate pressure point. If the bleeding is above the ears, press the point just in front of the ear, in a direct line to the corner of the eyes. As you trace from the outside corner of the eye towards the ear you will sense a dip near where the ear begins to extend from the head. Press and hold, to confirm you feel a pulse, which indicates the temporal artery. If it’s the lower part of the face bleeding, press the point on the jaw bone halfway between the chin and the end of the jaw. It’s the facial artery. If the bleeding originates from the neck, trace between the Adam’s Apple and neck muscles. You should be able to feel a strong pulse here, indicating the carotid artery, which supplies blood to the brain. Do not apply pressure for a long time, since this may cause a loss of consciousness. If the bleeding is high on the arm, press the point indicating subclavian artery just above the middle of the collar bone. If the bleeding is low on the arm, access the brachial artery on the inner side of the arm, above the elbow bone, between the large upper arm muscles. This may not be as apparent as the carotid artery, though. If the bleeding is from the groin or thighs, find and press the femoral artery half way between the hip and the groin, along the bikini line. 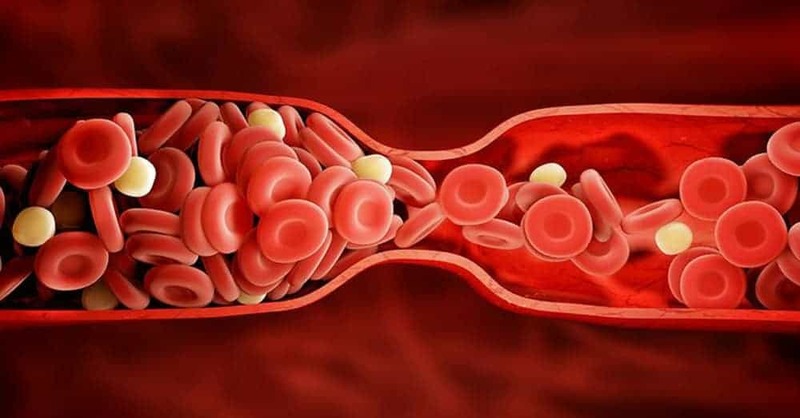 Substantial pressure is required to reduce blood circulation here, maybe with the entire heel of your hand, due to the amount of blood that runs through this artery to provide oxygen to the legs. The pressure point on the popliteal artery lies at the back of the knee. Press this to prevent bleeding from the lower leg below the knee. Do not bend or move the leg to put it in a more convenient spot. On the inside of the wrist, move away from the thumb towards the tip of the forearm, there are two pressure points. The first one lunar is more common, where we normally feel our pulse. The other one radial is just alongside, down from the little finger. For foot wounds, trace the tibial artery above the front/top of the foot, right where it meets the shin. In both cases, do not forget to sense a pulse before applying pressure. Check if the bleeding has stopped, release your fingers slowly from the pressure point, but do not release pressure at the bleeding site. If bleeding continues, continue to put pressure on the artery. Continue until the bleeding stops or until help comes. After bleeding stops, do not continue to apply pressure to an artery for longer than 5 minutes. In any cases, do not apply pressure for more than 10 minutes. Using pressure points to control bleeding means cutting off oxygen to the body part that is bleeding. This can result in life-threatening tissue damage. If the carotid artery in the neck is pressed for too long, within minutes, a brain damage could happen consequently, or in utmost case, the heart could stop beating. This is about survival first aid measure, not about speeding death.